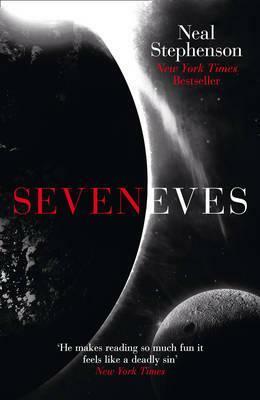 I received Seveneves through a mystery book swap. All we knew about each wrapped book was its genre and any small details the original owner shared. I'm not a huge sci-fi reader, but after a glowing review from the original owner, I thought maybe I'd give this one a try and read something that wouldn't normally be on my radar. Sadly it was a slog. Long books don't put me off if I enjoy the story and characters, but I really had to force myself through this one. For me personally, the problem with Seveneves was the constant and extensive info dumping. For every couple of pages of story, we got three or four of techno- or psycho-babble. The scientific explanations, while no doubt interesting for anyone science-minded, bored me to death. I read for about 30-45 minutes late at night before bed. I'm looking to immerse myself in a story and relax ready to sleep; the last thing I want is a physics lesson. In addition, these constant pauses either to talk science or go into long flat descriptions of a place and its history halted the action. In fact, I would say the actual story could have been told in around 200 pages. The lack of time spent with the main characters also meant we never really got a sense of them as three dimensional beings. Most sadly came across as 2D stereotypes. Conclusion? This was not the book for me. As I write this one, I notice a lot of very mixed reviews, so I would hazard that this is not a sci-fi story for the general reader. To appreciate this book, I think you need to be a hard sci-fi enthusiast who appreciates constant digressions into technological discussion; if you're just looking to give the sci-fi genre a try, I'd recommend looking elsewhere.